USCIS publishes new notice regarding cap-gap extension. 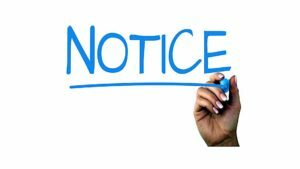 Cap-Gap Update – The USCIS published a notice that the “cap-gap” extension for OPT authorized employees expired on September 30, 2018, and if their H-1b petitions remain pending, they are no longer authorized to work by regulation. The “cap-gap” regulation is intended to cover the period of time between the expiration of an F-1 student’s OPT employment authorization card and October 1, 2018—the start date of their H-1b position. Employers and employees alike have an interest to make sure they are in compliance. As always, if you have any questions, please do not hesitate to contact me at (405) 401-2300 or tyler@tchristians.com.